Integrating digital marketing in the business strategy can help in building businesses and increasing the revenue that enterprises generate. You can employ the services of a reputable digital marketing services company to boost the online presence and reputation of your business. This article presents a few tips that can assist you to get the ideal agency that will meet your business needs with a lot of precision. The marketing company should help you to implement some of the marketing plans and campaigns you have in mind within your budget. You must evaluate your present marketing needs and the plans for your company before hiring any digital marketing agency. All businesses and companies must familiarize themselves with social media and the internet. The truth of the matter is that there is a rapid growth in online communities and networks in Brighton like any other part of the world. Familiarizing yourself with social media will assist you to understand the various techniques that your digital marketing services company uses in building your brand. You will communicate with your clients with a lot of ease and hence enhance your online fans and followers. This approach will assist you to build the reputation and credibility of your brand while generating new sources of revenue. You must conduct an in-depth market research to understand the consumers and the audience you intend to reach out to with your brand or company. You cannot hire a digital marketing services company unless you know your target clientele. You can use various analytic programs to review the current web statistics and have a comparison before you determine your primary brand demographics. The advantage of understanding your audience is that you will be in a better position to develop marketing strategies that are relevant and appealing to your target audience. 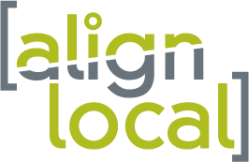 Brighton, Michigan has several digital marketing agencies like Align Local. It is wise to look at the various portfolios that the digital marketing services company has been working on. Comparing portfolios will help you to choose a digital marketing agency that is familiar with the marketing strategy you wish to adopt. You can decide to view the official websites of different companies from the comfort of your home or visit their offices in Brighton. The kind of merchandise, content, or services you are offering and your target audience will determine the marketing campaign or plan that is appropriate for your business. Small firms that have no desire to sell online or branch out can find local marketing plans or strategies that are ideal for their operations. You can decide to send emails to your loyal clients or make use of social media marketing. The channel you choose depends on the preferences of your customers when it comes to discovering new online content or businesses.